If you are looking for a speedy bike that also affords you a great deal of durability, then the Ridley Fenix is right up your alley. This bike has a carbon frame, weighing in just under 8 kilos. 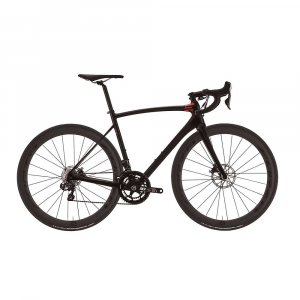 The Fenix is one of the more expensive road bikes available to you. By many bike manufacturer standards, Ridley is quite new on the scene. After all, it was first established in 1997. Nonetheless, this company has been proving itself ever since. This was why the idea of reviewing the Fenix was quite so intriguing. When we first sized up the Fenix, it did not appear to be the most comfortable bike. Ridley has put a great deal of emphasis and as such have created a machine that looks quite stark. Thankfully, as we tentatively settled on to the seat, we were proven wrong. Despite its minimal frame, the Fenix has not compromised on comfort. We experienced real joy, however, when we set off down the road. One thing you will notice is that the bike is fast and offers a truly enjoyable ride. You are going to be able to zip past other cyclists without a problem. Typically, with frames that are so light, cyclists often fear for the safety of their bikes. With the Fenix, however, this really is not an issue. Despite its lightness, the frame boasts considerable stiffness and firmness. A couple of bumps or knocks here and there is not going to do your Fenix much damage and this is a relief. As we mentioned, the bike was a lot more comfortable than we anticipated. When on the road, we experienced a similar smoothness to our ride. We would, however, caution against hitting more bumpy terrain. Here, we felt every jolt personally. This, perhaps, is one of the greater flaws of the Fenix. The bike does, nonetheless, perform like a dream when it comes to hilly tracks. You will be delighted to find yourself cycling up and down the slopes without even a hitch in your speed. Furthermore, there is very little effort required. The Ridley Fenix is definitely a winner when it comes to road bikes. This bike will help improve your overall performance. The Ridley Fenix, although a little costly, is a good investment. Particularly if you are cyclist who is all about being the best.